The 1950s saw Football in England challenged for the first time, as traditional styles of play were questioned. As the founders of the game countries from around the world tried to catch up but few teams could beat the physical and winger orientated English style. The game was changing however and clubs like Tranmere needed to make steps to ensure their survival. For Tranmere Rovers this meant the handing the team over to Noel Kelly in 1955 as player-manager. Tranmere’s post war seasons had been distinctly average at times with little progress being made. But with spectator numbers at the highest in the club’s history the money was there to push for promotion. Kelly was seen as a new start for the club’s more modern style of management. Previous to Noel Kelly the club had never really had a manager in the modern sense, with coaches dealing with the training and the role of picking the team falling to the Board. Kelly however was not successful and was relieved of his duties in 1956. Linking up with his old team mate Tommy Eglington, Farrell brought about a very professional style of football to the club. Eglington had joined Tranmere from Everton under Noel Kelly and was instrumental in persuading his old team mate Farrell to join Tranmere. Although Eglington’s career was very much in its later stages by the time he joined Tranmere he still made over 170 appearances and scored thirty six goals. With Farrell’s professional way of playing alongside Eglington’s skills Tranmere could face their first hurdle of the season, securing the club’s place in the new Third Division. Previously the Third Division had been separated into two leagues North and South but by the end of the 1950s the Football League intended to merge the two divisions and create the Four Division for the weaker of the two leagues. In the 1956-57 season Tranmere had finished second from bottom which in the 1957-58 season would have seen the club relegated to the new Forth Division. Farrell joined Tranmere twelve games into the 1957-58 with the team only having two wins to their name. In Farrell’s first twelve games he managed to notch up eight wins. But the season was long and the poor start made it a hard slog to secure a Third Division place. It came down to the last game of the season against Wrexham at home where a crowd of just under 20,000 turning out. In front of the club’s largest home crowd for a league game (a record that still stands today) Tranmere beat Wrexham 2-1 securing their place in the new Third Division. The style of football being played at Prenton Park was nothing new as clubs across the country heavily relied on fast wingers like Eglington to put the ball in the box. But the experience of both Farrell and Eglington helped professionalize the whole team into a tighter unit. For the next three seasons Tranmere play was has been described as their most attractive football with Farrell and Eglington professionalizing the style of play. However the two aged players could not carry the squad and with no funds to bring in new players the team’s performance slipped and in the 1959-60 season Tranmere were almost relegated. The writing was on the wall for Farrell and by December of the 1960-61 season he parted company with the club. 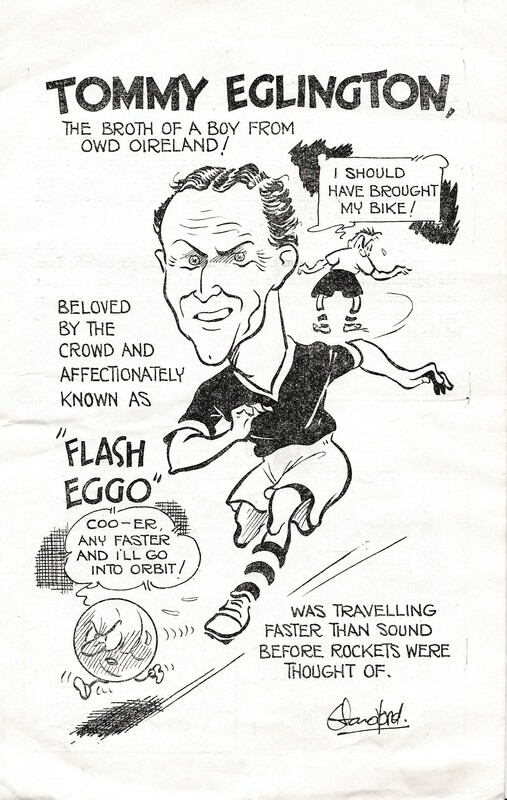 Eglington too left the club in 1961 not before a testimonial against an Irish XI. Farrell may have given club a more professional style of football but he was already a dinosaur of modern football by the time he reached Prenton Park. The over reliance on wingers had been shown to be disastrous in 1953 when the undefeated England team were humiliated by Hungary 6-3 at Wembley, whose tactics and formations are more akin to today’s game. On the morning of the 31st August 1946 football fans across the country awoke with the knowledge that teams they had missed for seven long and hard years would once again take to their fields of play and entertain the masses who watch in ore at the spectacle that only completive football can create. The Birkenhead Advertiser too saw the day as a special one in the football calendar writing ‘ Today is D-Day for a million football fans as four divisions of the Football League get under way for what promises to be the season of superlatives…’ The article went on to discuss Tranmere’s chances in the new season and players to watch out for. However since so little football had taken place every team in the league was an unknown entity with almost completely different teams to the 1939-40 season. Tranmere’s youth player investment of the previous seven years had given the club the players they needed but few were optimistic of this being a promotion winning team. Rotherham United had been described as Tranmere’s bogey team before the War as they had notch up so few wins against the United. However many felt this meaningless now as the two sides put out their new teams. The over eight thousand fans that came to Prenton Park to see the first competitive League football in seven years came away a little down trodden as Rotherham continued to be the Tranmere’s bogey team beating Rovers 4-1. Atkinson scored Tranmere’s only goal that day in what had been a fairly disappointing start to such a monumental season. However Tranmere bounced back the following game beating Southport 2-1 with one of the scores being Harold Bell who would be come a true Tranmere legend over the next decade or so. As the season progressed the results were mixed with spells of wins and then loses hampering Tranmere’s move up the league. The fans were becoming frustrated with their team’s performance and began barracking the Rovers players on some occasions. By the winter of 1946-47 the weather decided to play havoc with the fixture list as one of the worst winters in recorded history struck the country. With temperatures dropping down to -21C and heavy amounts of snow on the ground Tranmere like every other team struggled to play games in the winter. The poor weather would lead to the longest season in the Football League’s history as replays took place well into June. However in the few games Tranmere did play in the winter months they notch up several wins as they seemed more at home playing on the frozen and muddy pitches. The final game of the 1946-47 season was to be against Tranmere’s old Welsh rivals Wrexham at the Racecourse. Both teams by now had secured themselves top half finishes and had nothing to play for which should have made the game a dull affair. However neither team could break the deadlock and the game finished 0-0 leaving Tranmere with forty one points and a respectable tenth place finished in the Third Division North. The season was billed as a new dawn in football as clubs across the land rebuilt their teams from scratch and took on untested opposition. Tranmere came into the season fairly strong with a good number of youth players and de-moded experienced players which matched their tenth place finish. With the first season now complete some elements of normality had been restored to country but others were still years away as rationing and shortages would continue on into the 1950s. But at least fans could wander down to Prenton Park to forget the troubles of post war Britain. The most surprising statistic of Tranmere’s international players is that not one single player in the club’s history has ever played for England seniors team whilst being on the books at Prenton Park. However two local boys did make it to the top of the game but after they left Tranmere for First Division teams. Their story starts just before the First World War in 1907 on the streets of Birkenhead. On the 2nd Janauary on Park Road North just off Lairds Street in the North End of Birkenhead a boy was born whose footballing skills would see him become a great. The son of a Butcher Ellis Rimmer would go on play for Tranmere and one day England. A few days later another boy was born just round the corner on Laird street who would be Rimmer’s rival but also his friend. William Ralph Dean is still one of the great footballers in World history with records he set over 70 years ago still not been broken. Not as much is known about Rimmer’s early life in Birkenhead but he first came on the radar as a footballer for his school team Upper Brassey Street. Later in life Dean said that Rimmer was the school’s ‘..star turn.’ As well as being an accomplished footballer he was an excellent pianist as his mother Edith insisted he practise for two hours a day. Dean’s early life is far better known with countless books telling the story of his life. He grew up above a chip shop on Laird Street and attended the Albert Memorial School (a borstal school) as they had the best team. The skills of Dean had been noticed from an early age and in 1920 he was asked to play for the Birkenhead Schoolboys team. Dean received a medal from his school during morning assembly for being picked and was allowed to go home to tell his Mum. When Dean went to meet the rest of the team one face was very familiar as Ellis Rimmer too had been picked from his school team. Dean’s skills were soon picked up by Rovers chief scout Jack Lee and Dean joined Tranmere reserves. His first goal in a Rovers side was against Whitehead who team included his friend Rimmer. After the game Rimmer signed for Tranmere and joined Dean once again. In 1924 Dean made his first senior debut for Tranmere Rovers and would go on to score 27 goals in 30 games. 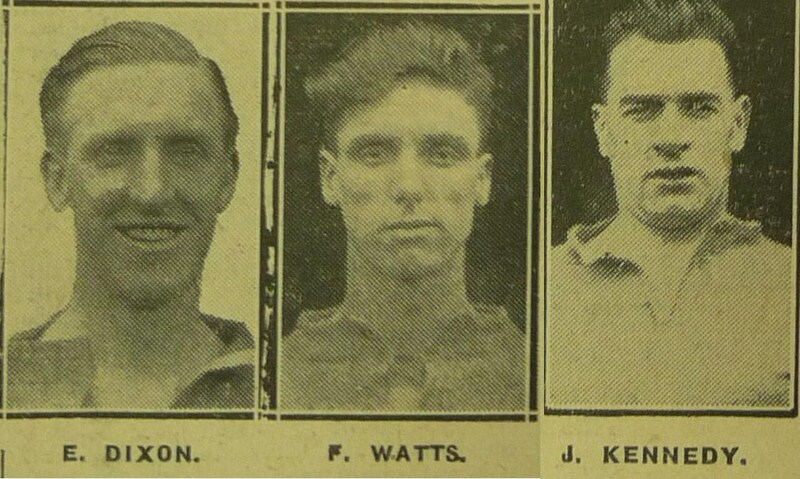 Dean was soon snapped up by Everton in 1925. Rimmer too made his first senior appearance for Rovers in 1924 but he was not picked up by a bigger club until 1928 when Sheffield Wednesday paid for his skills. The two would have met on many occasions during their First Division careers but never playing for the same team. However when England called upon them they had one last chance to play together. In 1930 the first World Cup took place in Uruguay with both Dean and Rimmer hoping to represent England at the highest level. However they never got the chance as the FA decided England didn’t need to take part as we already knew we were the best team in the world. England wouldn’t play in a World Cup until the 1950s. 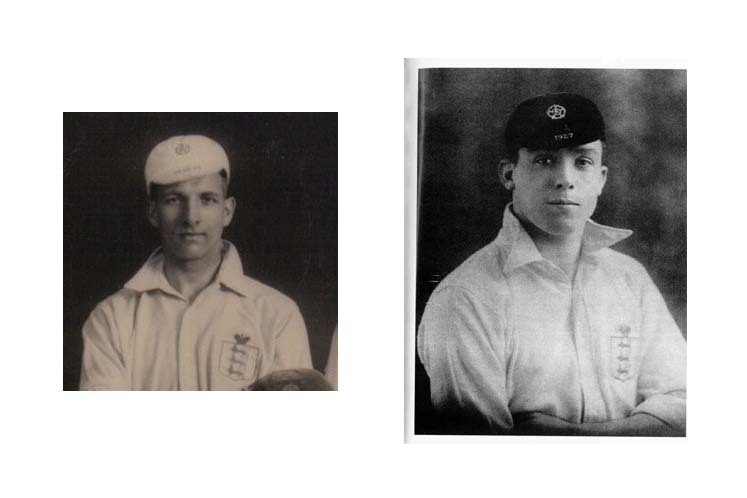 Both Dean and Rimmer did however receive England Caps over the years and in 1931 the two friends from Birkenhead came together to represent England against Spain. Although neither Dean nor Rimmer scored they both had a hand in setting up two of the seven goals England scored that day at Highbury in front of 55,000 England fans. As the 1930s went on the records for Dean mounted and in 1937 he scored his 353rd goal in 390 games which broke the record for most goals scored by one player. Both teams cheered this accomplishment but the first man over to shake his hand was none other than is old school boy friend Ellis Rimmer who was playing for the opposition that day. Like all players their times as footballers came to an end and the two friends went their separate ways in life. In 1965 Rimmer died at age of 58 and Dean died in 1980 at the age of 73. Their story is a rare and almost unique one which his unlikely to be replicated in football ever again. But these friends from Birkenhead left the town as schoolboys and reached the highest levels in Football making them true legends of Birkenhead. Last season saw three clubs in League One reach the brink of the financial cliff and their very existence was brought into question. Portsmouth who had won the FA Cup only a few years early found themselves lose another ten points, Coventry City looked like they’d have to move out of Coventry and Bury nearly disappeared forever. Tranmere may have on of the smallest budgets in the League but with a sound executive the club has been able to stay a float. However thirty years ago Tranmere became the first club to go into modern Administration. Tranmere had never been a cash rich club, surviving season to season selling their best players to keep a float. By the 1970s this formula was still the best option to keep the club going so in 1978 Tynan and Moore were sold for around £100,000 each. As well as selling players Tranmere has maintained a strong fan base whose gate receipts kept the club going through the season. However during the 1970s and 80s unemployment stood at two million nationally and work in the area was in short supply. Attendance fell to 1,500 supports, which was lower than when Tranmere was a non league club. The club though tried to turn things around selling land by Prenton Park for the Clipper pub to be built and the clubs first shirt sponsors Storeton Motors were signed. But it wasn’t enough as the debts kept rising the clubs future looked in real doubt. 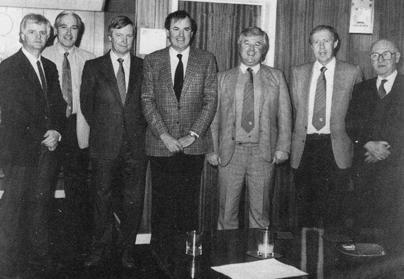 By 1981 Tranmere only just secured re-election to the football league with the sale of Jim Lunby to Mansfield. The troubles at Prenton Park began to attract national attention and the BBC documentary Forty Minutes filmed a short piece on the club’s problems, but it was never aired. Tranmere was in dyer need of investment and Birkenhead born but US based tycoon Billy McAteer seem a good fit. Negotiations broke down leaving the London based businessman Tony Kramer to place a bid for the club. At a meeting at the Birkenhead YMCA he claimed he’d bring George Best to the club if he took over Tranmere. But the Tranmere Management didn’t trust his motives and he failed in his take over bid. With the debts still rising the Save the Rovers Fund was established which saw Tranmere play charity matches against the likes of Liverpool, Wolves and Manchester United to raise funds. The clubs real lifeline though came from an unlikely source as Wirral Council loaned the club £200,000. This loan would lead to a partnership lasting between the two lasting nearly thirty years. The loan was only a stop gap and it wasn’t until a San Francisco based business man Bruce Osterman stepped in that the club achieve some stability. 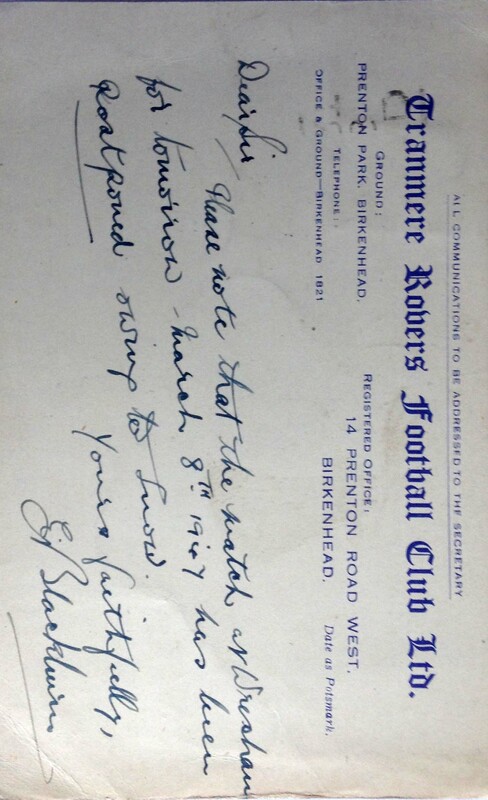 Osterman enjoyed training with the players and came to Birkenhead three or four times a season. For several seasons his investment secured the clubs future but overspending on directors wages meant the club’s debts soon rose again. Added to this the club’s attendance had fallen to just a thousand. Osterman could only see one option to save Tranmere Rover………sell Prenton Park!! 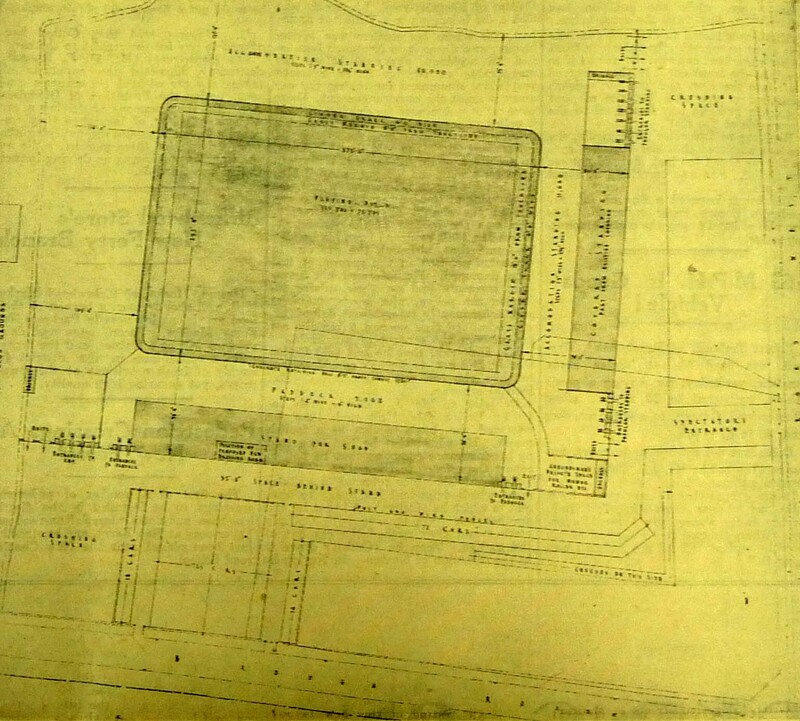 A ground which had been the home of Rovers for 80 years was now being valuated for its possible sale. 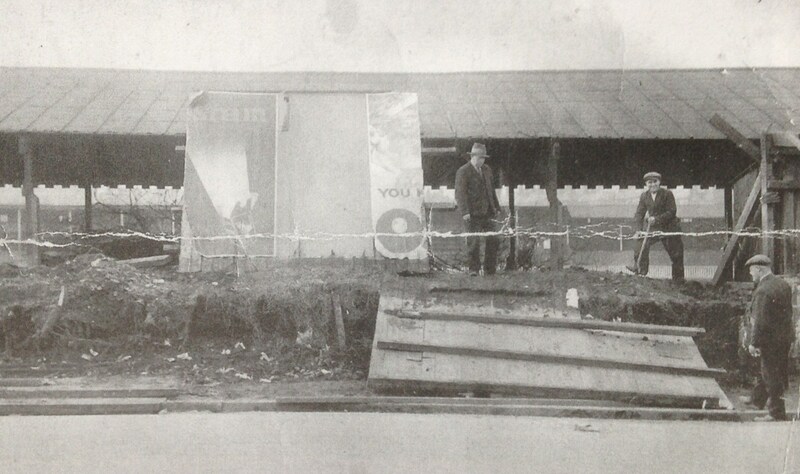 The plan was to sell the ground for £4 million to allow a Tesco Hypermarket built on the site of Prenton Park. The £4 million would have cleared the debt and left enough money for Tranmere to build a new ground. However when seeking permission from Wirral Council (who were still owed £200,000) it became clear Osterman had no plans for a new ground. Osterman threatened that if permission was granted he would wind up Tranmere Rovers completely. Wirral Council called his bluff and stopped the sale of Prenton Park. Tranmere had no option left except to the first club in the country to go into the modern form of Administration. Fearing for the future of the club the lifetime Tranmere fan and director George Higham stepped in and stripped Osterman of his powers. 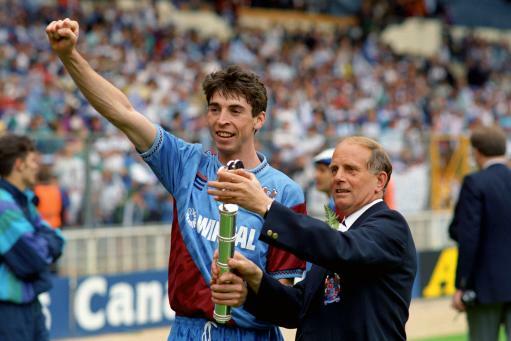 Eventually Osterman’s shares were sold to local businessman Peter Johnson and under his ownership Tranmere have seen some of the best success in the club’s history.